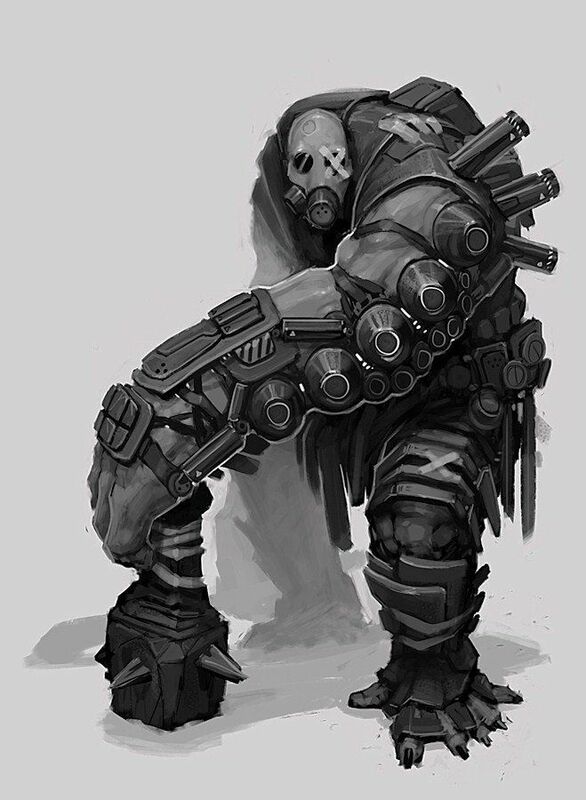 The unit is effectively a lightly armed, but heavily armoured power armor equipped boosted transhuman fireteam of 4 persons. The Paladin Project armors have been obtained and will prove a considerable tactical advantage. All primary weapons have been lost, but the individual suit comes with a full secondary suite. Security isn't currently a concern. But the technological advanced ship and its mutated environs makes this accesment uncertain. Anything can happen. Sources of water and sustenace have been identified, but still needs to be verified safe. One member (#31) may be poisoned by local organic construction micro-bots, but for now there is no ill effects. The local air quality is remarkable high and supply seems endless, for our purposes. We have formed a Ship Emergency Counsil, to ensure cooperation and the free exchange of idears. The situation seems stable or at least deteriorating very slowly. Further investigations into both the ship, its (believed) AI, Projects Paladin & Infinity and the other "passengers" is our top priority. We are currently working on getting the 8 fusion reactors back online and connected to the main AI. With power restored we can both maneuver and interrogate the AI. Remnants of unit awoke in Paladin Project's cryo-storage midships. Of entire unit only 4 individuals were awoken. Evidence suggest, that all 4 units had been damaged during a later "upgrade" and may have been left for dead. Subjects identifies as: #31, #14, #11 and #7. Evidence also suggest an extremely long period of hibernation. The upgrade seems to have enhanced all subjects beyond even known transhuman parameters and allows each individual to interface with special very high tech Paladin Project armors. 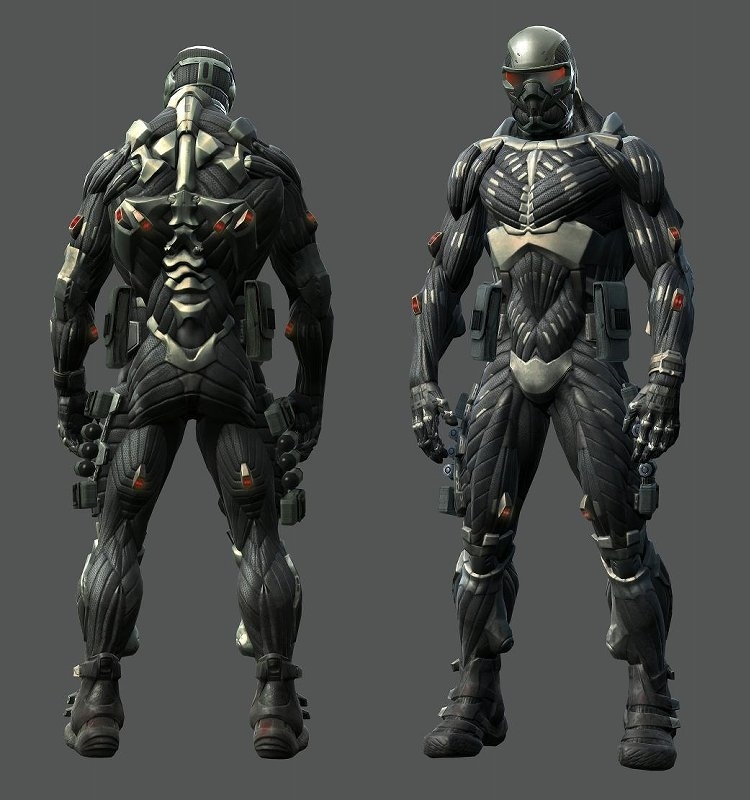 All used upgrades are organical in nature - the armor, I posit, blurs the line of organic/technical. All subejcts have no physical trauma, but seem to suffer from some slightly debilitating falsh backs. Trigger conditions are currently unknown, the flashbacks may or may not be linked to neural inductrination. Evidence further suggest, that all subjects were handpicked and kidnapped by ONI Corp, sometime in the 2250's. But this may also be a false front, a ruse designed to strengthen the simulated/implanted personalities. To give purpose and identity. There are several organic irregularities on the ship, including what looks like uplifted insects and a macro-scale organic nano-bot population. As these phenomena are better understood, more will be logged. We are not in any immediate danger, nor seems the ship to be in any immediate crisis. But our circumstances are far from clear. We have reached engineering and found a massive cache of equipment, chemicals and even clean water. Using these tools we have implemented a plan, reconnecting the eight reactors to the new organic grid of the ship, with out risking a drop in power levels. It will be very interesting to see which systems are still intact, which the ship will choose to prioritize and which new systems have *grown* alongside the old. Please note, that all reactors seem to be running as closed high reactor systems. This remains a mystery, as both the fuel an maintenance should have run out thousand of years ago. 1) The ship was attacked and boarded by humans, with relatively "common" technologies before leaving the milky way - meaning many, many years ago. The motivation behind this attack and its meaning remains fra from clear. But it may be the root cause of our current misfortune. a. Evolved Cockroaches, iron age tribal society, whorshipping humans as the Ancients. They seem peaceful, but the religious attitudes and their (evolved? )ability to pass through the ships powerfields, remains cause for concerns. First and second contacts were successes, but their psychological make up remains opague. Pony sized drones spotted, but contact not attempted. Seems isolated to the Aboretum. I have asked the Ship Emergency Council to refrain from contact, as the hivemind-paradigm, leaves us with a potentially hostile, unthinking army right on our doorstep. One subject has been encountered and the still moving head kept for further study. 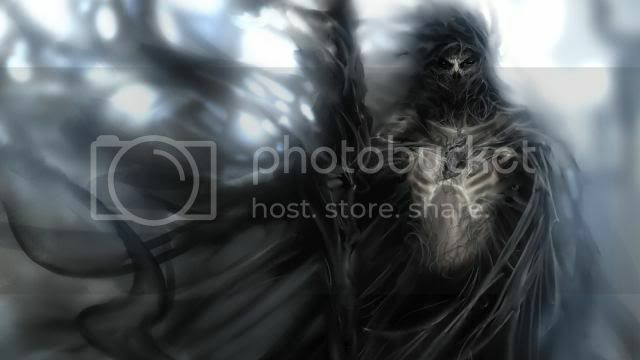 The ships database does not recognise the subject, may he be one of the ancient	invaders? I have pleaded the Ship Emergency Council to be far more careful moving about the ship and restrict scrounging, as it mostly brings little of value, to a bare minimum. We are not alone on this ship - and I think we have yet to meet our strangest travelling companions. Loose containment protocols caused our PP suits to be infected with a strain of nanite. Speaking to the local tribe of uplifted cockroaches, Roaches hereafter, we decided to investigate the honey produced by the Hive in the Arboretum. And this confirmed one of my suspicions: The Hive is engineered. Find a dead bee and its assailants, Walkers, we found that the poison stinger-glands on the dead bee actually contained an opposing nanite culture, to the Walkers nanite culture. Using the left-over “poison”, we cured our armors “infection” and traded with the Roaches for even more of the opposing nanite culture that they harvest from the bees. Upon this finding, I made decided to progress with the work on the power generators, restoring power for the entire ship, including the habitation drum, the center of Walker activity. Shortly here after we explored the vaults near the engineering only to be beset by Walkers and confirm our suspicions: The Ark was meant as a repository for Humanity’s achievements and following leaving Earth behind, some of these achievements were evolved further aboard the Ark. The focus of this continued research seemed to be nanotechnologies and the propagation of vira using programmable nanites. Several vaults were obviously broken in to - indicating that some kind of conflict aboard the Ark, a conflict that ended catastrophically as none of the damage from the break ins had been repaired. 1) The fields around the ship were a whole & complete sub-dermal seal. We are tight - 5, 5, 5 tight - even after all these years. Intelligent, but indirectly guided, Design. 2) Air circulation and scrubbing would be mostly intact and actually be enough to spread the opposing nanite culture to all areas of the ship, including the habitation drum. 3) The force fields run on their own grit entirely and are actually a third layer of hull (So we are effectively a completely enclosed system). Still this power supply is one we can’t currently identify completely. This weakened the central force of walkers and caused them to establish primitive counter measures, including walkers in HazMat and localized EMP cleansers. After two days of full atmospheric circulation we were forced to attack. The Roaches would not wait - stirred into a holy fervor they would follow us, the Ancient Ones, to hell and back. My plan to deprive the habitation drum of power and thus further weaken the walker population would deprive us of momentum. On the 42th day since reviving, four fully suited PP clones led the Roach tribes against approximately 700 Walkers bolstered by one "Ogre" (Humanoid template, but boosted by nanites?) and a "Spectral Captain" (Low Mass Nanite Colony?). The charge was foolhardy, ill-advised and yet grandiose. In the end luck prevailed. Casualties were light as the enemy proved unable to coordinate a response after the target code named: "Spectral Captain" was felled. Having defeated the command group of the walkers we took control of their operational center and found it part laboratory, part vault. Identifying myself before one of the vaults, warded by sigils and odd runes, we freed the original Ancient One, an older PP clone, in which the ship AI had somehow sought to hide. (I believe that this self-imposed sanctum may have become a prison under the ministrations of the “Spectral Target” and thus forced the AI to its long-term indirect manipulations of the local resources: e.g. Bees, Roaches and the Arboretum. Thus I hereby can officially disband the Ship Emergency Council. The AI has taken the bridge, albeit still in a physical form. It seems overly interested in philosophical matters and mysticism. I remain uncertain on weather its long hiatus in a biological form hasn't damaged it somehow. Subject #7 has expressed sympathies for these ideas and continues to think short term. I fear the easy victory eroded his sanity even further. Access to the Central Armoury has been restored: we now have access to most types of infantry weapons and are capable of waging prolonged guerilla-style warfare. Researcher Ambler (Capt. Ret. ), Reinforced Transhuman Clone. "Time to fix the mistakes of God - tear down the old and remake the universe in my image - with unlimited power at hand re-creation starts here"